Diamond is a Kiwi owned brand and has its origins in New Zealand. It is still proudly kiwi owned today. The Diamond brand still sells pasta as well as Rice Risotto, Macaroni Cheese, Couscous, and Coat ‘n Cook. The Diamond brand was established by the Timaru Milling Company Ltd in the late 1880’s supplying oats for breakfast cereals and flour for baking. In 1882, the Timaru Milling Company Ltd opened the first, and also the largest, roller mill in New Zealand. 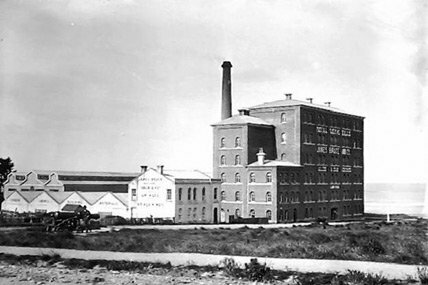 The main brick building of the plant is six stories in height and still stands on Mill Street today (although Diamond pasta is now made in Italy). The onset of World War II meant that the New Zealand Government were looking for local suppliers of international products to sustain New Zealanders during this period of unrest. The Timaru Milling Company was issued with a licence to manufacture pasta in 1941 and the small scale production of Diamond pasta began. Diamond was New Zealand’s first pasta brand and at the time pasta was still a relatively exotic product. 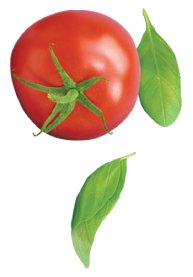 It wasn’t until the 1970s that the popularity of pasta began to grow in New Zealand. 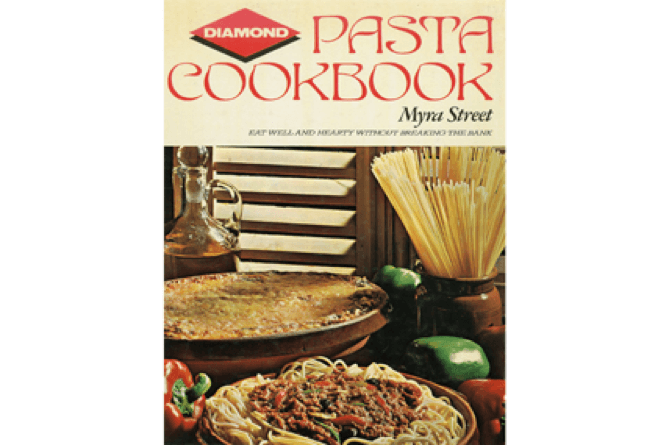 The Diamond pasta cookbook by Myra Street published in the 1970s was instrumental in teaching New Zealanders about pasta. The book focussed on “eating well and hearty without breaking the bank” and covered pasta shapes and how to cook pasta. Recipes included in the book such as macaroni cheese (new style) and spaghetti with bolognese sauce which are now Kiwi family favourites. Following the success of pasta, Diamond diversified into the Meals Solutions market and began producing Diamond Rice Risotto. Again introducing New Zealanders to what were considered international and slightly exotic products at the time. Over time other products were added such as Coat N Cook, Couscous and Macaroni cheese. These also quickly became Kiwi favourites which are still widely used and loved today. Diamond is still a kiwi owned brand and with its range of easy to use products really is a Cook’s best friend.